Tickets for Disney On Ice presents Worlds of Enchantment start at only $20. And there can be even further savings. 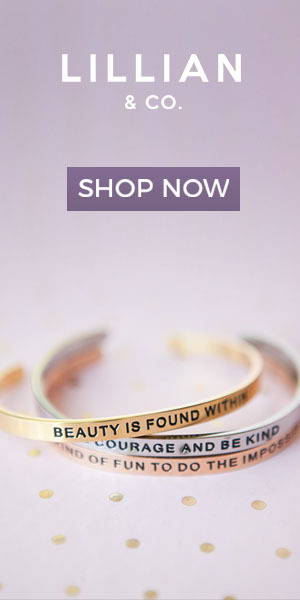 For instance we had a coupon code on the blog, and you may also find deals through local discount websites. The show is approximately 2 hours and that seems like a great price for live entertainment. We also went on a Wednesday night which not only had cheaper tickets but also less crowds. (We can only imagine how many kids would be around on a Saturday afternoon performance!) Add on a pre show dinner and you have yourself a really well rounded date with a sprinkle of pixie dust! There is a wide range of ticket prices available. If you don’t live close to a Disney park, time between trips can seem to take forever. We love to find as many excuses for a little Disney magic in our everyday life as possible. You can see a Disney movie or hit up the Disney Store most anyday, but when a show comes to town it kicks it up a notch. When we arrived at the arena there were some Disney branded photo opportunities and plenty of merchandise shops. There was some arena food available as well. The Royal Farms arena is a little on the small side compared to some other venues, but that also means there are plenty of great seats. We were led to our seats at center ice about 12 rows or so up from the ice. We knew the show was starting when the lights when down and the music picked up. Suddenly Mickey, Minnie, Goody and Donald appeared to start things off. When you can’t get to Disney, let Disney come to you! Toy Story: The first adventure was to Andy’s room from Toy Story where the audience is basically given a condensed version of the third movie in the series. While we enjoyed this part, it did seem to drag on slightly longer than needed. The Little Mermaid: The second adventure took us under the sea for the Little Mermaid. Again, we went through a very quick overview of the movie with all of the main characters including Ursula. Cars: After that the gang came back out to introduce us to the next adventure, Cars. This story didn’t follow any of the movies, rather, Mickey and Minnie’s car broke down and the cars were doing what they could to help revive the car. 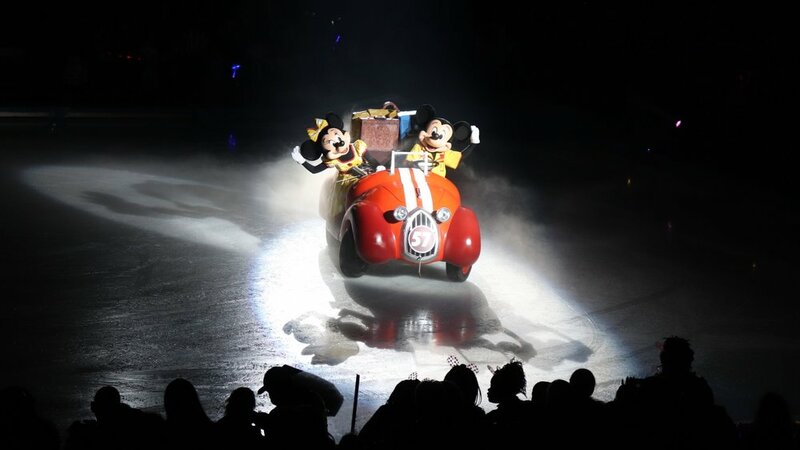 This was a pretty cool part of the show as the cars actually drove around on the ice. Frozen: Of course the most appropriate finale was Frozen. Again, we saw a quick overview of the movie with a really good production of Let it Go. It is fun to see a variety of characters vs a show based on one whole movie. You get a highlight of great moments with a different spin being on ice. We loved hearing the songs we knew by heart and seeing how certain characters would appear or how certain moments would translate into ice form. Andrew loves to see the Green Army Men! Elsa & Anna even brought snow to the arena. With Disney you know you are getting top notch talent. 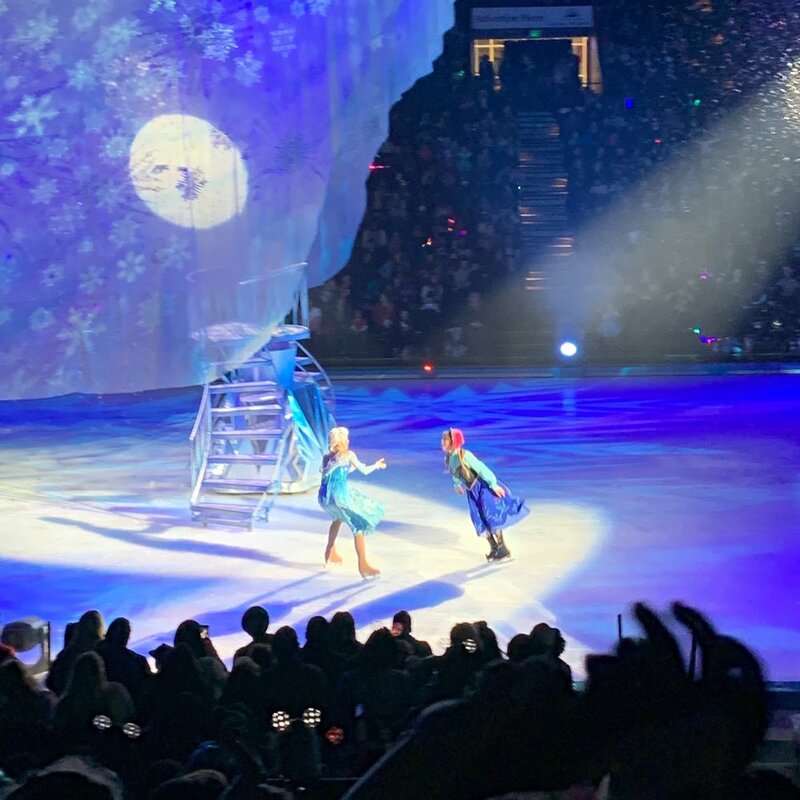 The Disney on Ice team puts on a flawless performance of ice dancing (Julie loved scenes such as Barbie and Ken), story lines (romance & comedy! ), creative sets (The Toy Story scene had so many neat pieces), and lots of special tricks and effects. You can’t help but say “wow” when a character is flying above the ice or when bubble, snow, and (in true Disney fashion) a little fireworks are used to pump up a scene. The sets were quite colorful and elaborate, and constantly changing through the stories. “Kachow” has more punch with some flames! Woody takes flight to save the toys! With any good Disney entertainment comes the option to buy matching merchandise. And there was plenty to be found at Disney On Ice from hats and cups, to programs and toys. We saw so many parents ponying up cash for lots of plastic stuff. We looked at each other and loved that instead of buying this stuff we were able to save our cash for some fun adult beverages instead (while also still feeling like carefree kids). Lot’s and lot’s of stuff to buy. We have to admit that Olaf cup IS pretty cute though! Overall, we really enjoyed this show and would highly recommend it to anyone who likes Disney. It provides the perfect amount Disney for those times between trips to the parks. It has nostalgia and magic and really is a fun idea for a different date night out. Check out if a Disney On Ice show is coming to your town HERE. DISCLOSURE: We are ambassadors for Feld Events who produce Disney On Ice. In exchange for our time and efforts in attending the show and reporting our opinion within this blog, as well as keeping you advised of the latest discount offers, Feld Entertainment has provided us with complimentary tickets.